I am excited to announce Light of the Moon Café’, an online e-course/support circle for women seeking freedom from struggles with eating and weight issues. It is a place that provides a feast of healing images and experiences that deepen our understanding of struggles with food, fat, and dieting—within the safety of an online women’s support circle. 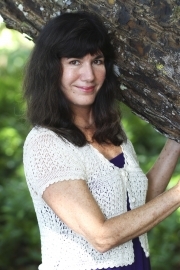 Anita Johnston a psychologist/storyteller and I (a registered dietitian/group leader) have worked many years in the field of disordered eating. We are passionate about using women’s circles for healing struggles with food, eating, and weight. The Light of the Moon Café has evolved from a collaboration of Anita’s best selling book, Eating in the Light of the Moon, and Soul Hunger workshops that she has given around the country for years and from the popular Eating in the Light of the Moon support groups and Wise Women groups facilitated by myself. Anita and I spent years brainstorming how to bring the experience of diving deeper into the realm of nourishment for the soul—that so many women struggling with food, fat, and dieting seemed to hunger for—to a broader audience. We fantasized about how to create a venue to provide food for the soul in a way that would be easy, enjoyable, beautiful and enlightening. This eventually evolved into the concept of an online e-course and support group. We dreamed about creating a space where a group of women of all ages from around the world could gather to be embraced in the warmth of a women’s circle and have experiences that nourish the deepest, most intimate parts of their being. We imagined a “place” where women could show up in their own time without having to cancel important activities in their lives, where the night owls could commune with the early risers, where the introverts could find a venue for expression and the extroverts could find connection, where those on the path to recovery from disordered eating could meet and get encouragement from fellow travelers—and discover they were not alone. And so we created a menu with something to be served up every day for the duration of the course, beginning with the “Chef’s Special” for the week, a chapter assignment from Eating in the Light of the Moon. We concocted tantalizing appetizers—bits of poetic inspiration—to keep participants focused, hopeful, and connected to what matters most. For the main course, we provided an audio telling of a teaching story that Anita recorded with Emmy award-winning musician playing musical instruments from around the world. We decided to follow this with downloadable “story questions” to help participants reflect further upon their thoughts, feelings, and experiences, and to savor the deeper meanings of the stories in a more personal, heartfelt way. For a bit of “dinner theater” at the Light of the Moon Café’, we organized a series of short audio recordings, in which participants are invited to join us on a metaphoric journey into and out of the labyrinth of recovery (step by step, week by week). Then we concocted “after dinner” art and writing activities to enhance connections to our most authentic selves…so that insights could seep deep into the psyche and our soul could be nourished. And of course, at the café’ there are delicious desserts—playlists of soothing, healing music and ways to create exquisite, sacred sanctuaries for R&R, when feeling overwhelmed, depleted, and spiritually and emotionally hungry. If you want to deepen your understanding of your struggles with food and eating, and this feast of healing imagery and experiences appeals to you, go to www.lightofthemooncafe.com. We would love to have you join us there! The first class starts January 5th and is filling quickly. Because we like to keep it small and intimate, we have a limited number of spots available. View the Café group page on this site. I will be offering a new 8 session class on Intuitive Eating starting April 17, 2013. "Intuitive eating is an approach that teaches you how to create a healthy relationship with your food, mind, and body—where you ultimately become the expert of your own body. You learn how to distinguish between physical and emotional feelings, and gain a sense of body wisdom. It's also a process of making peace with food—so that you no longer have constant "food worry" thoughts. It's knowing that your health and your worth as a person do not change, because you ate a food that you had labeled as "bad" or "fattening. Please see attached flyer for more information and to pass on to others you feel will benefit. 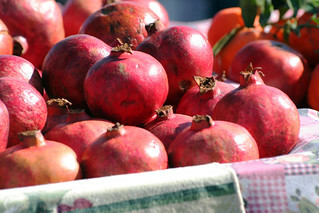 The pomegranate is a nutritionally rich fruit with unique flavor and health-promoting characteristics. The round and typically red fruit grows on trees. Once opened, the interior is separated into compartments by thin, white, spongy, bitter tasting membranes. Each compartment contains sweet, juicy, berry-like fruit. 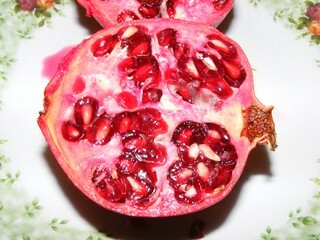 Pomegranate juice contains a significant amount of vitamin A, C, E and K, as well as the minerals potassium and iron. 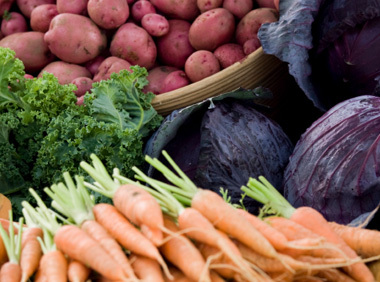 It also contains small amounts of vitamins B1, B2, B3, B5, B6, and foliate and the minerals copper, zinc, magnesium, calcium, selenium and phosphorus. Pomegranates are often called “super fruit” because Pomegranate juice also contains high levels of polyphenols, such as ellagic acid and punicalagin, which give it antioxidant properties therefore making them effective in reducing heart disease risk factors. It also contains phytosterols, which can help reduce cholesterol levels. It is rich source of soluble and insoluble dietary fibers, providing about 4 g per100 g (about 12% of RDA), which aid in smooth digestive and bowel movements. The fruit is a good source of antioxidant vitamin-C, provides about 17% per 100 g of daily requirement. Consumption of fruits rich in vitamin C help the body by boosting immunity. Regular consumption of pomegranate has also been found to be effective against prostate cancer, benign prostatic hyperplasia (BPH), diabetes, lymphoma and to inhibit inflammation mechanisms involved in osteoarthritis. It is a rich source of soluble and insoluble dietary fibers, providing about 4 g per100 g (about 12% of RDA), which aid in smooth digestive and bowel movements. 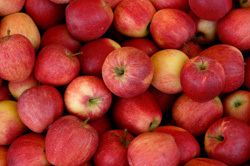 The fruit is moderate in calories; 100 g provides 83 calories and it is very low in Saturated Fat, Cholesterol and Sodium. Cut a half-inch or so off the crown. Be careful it will squirt. Pomegranate juice will stain everything. Score the skin of the fruit a couple of inches. It is not necessary to cut too deep, you are just trying to cut into the skin which is about 1/4in thick or so. Then put it face down in a bowl of cold water and leave it there for 5-10 minutes. Gently start to peel the skin away from the little pods, while holding the fruit underwater. Gently, brush all the juice pods off of the white membrane. The seeds sink and the membrane floats. Scoop out the membrane with a slotted spoon. Dump the juice pods in a strainer and rinse. Put in a bowl and chill. They taste the best when nice and cold. Eat alone or add to salads or smoothies, juices, veggie dishes, soups, jellies, sorbets, yogurts, sauces or to flavor cakes and baked apples. Enjoy! This weekend retreat is for women who feel a special calling in their life to just be love in the world. During this retreat you will practice the transition from ego self to soul self through meditation, drumming, dance, story telling, and creative arts. You will learn about the attributes of the negative inner father and qualities of the positive inner father, as well as how to create a healthy inner father. Most importantly, you will meet other like-minded women who share your passion of just being love in this world. Elisabeth Peterson is a registered dietitian and medical nutrition therapist with Peterson Nutrition and Fitness in Richmond. Using a non-diet approach to nutritional wellness, she specializes in eating disorders, sports nutrition, gastrointestinal disorders, food allergies, women’s health and clinical research, using a non-diet approach. Pre-registration for this FREE program is required at bonsecourswellness.com or by calling 804-594-4964. A light dinner will be served and participants have a chance to win Eating By the Light of the Moon, by Anita Johnston and Intuitive Eating, by Evelyn Tribole and Elyse Resch. Anita Johnston, PhD. internationally renowned storyteller, speaker, and author of the book Eating in the Light of the Moon offers two workshops in Richmond. Join Anita for a lively interactive evening including story telling and Q&A to gain a better understanding of what it means to be a woman owning her power in today's world. 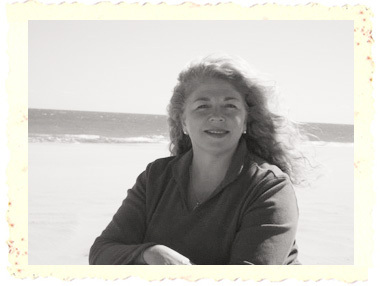 Through her passionate, energetic storytelling of myths and metaphors from around the world, Anita teaches about the archetypal energies of the woman’s soul. In this powerful one-day workshop, Anita will teach us how to consciously and deliberately access four primary aspects of the Sacred Feminine and bring them into our lives. We look forward to seeing you March 30 &/or 31st! Be good to yourself today. 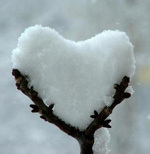 You're the most important Valentine there is to be in love with. The International Association of Eating Disorder Professionals (iaedp™) established the certification process to promote standards of excellence within the field of eating disorders. Individuals with the Certified Eating Disorders Registered Dietitian (CEDRD) certifications are health care professionals who have met rigorous educational requirements, have accumulated a minimum number of hours of qualifying work experience, have successfully passed a written examination covering the eating disorders field, have made a commitment to stay abreast of current developments in the field through Continuing Education, and have agreed to comply with the Association's Ethical Principles. 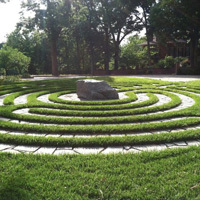 The Winter Solstice candlelit labyrinth walk will be held December 22nd from 4:30-6:30. I will be walking the labyrinth at 5:30pm. This will not be a Wise Women "event," rather a silent, contemplative, personal journey inward. If you would like to walk the labyrinth with other Wise women, join us at 5:30ish. Feel free to bring family or friends; remember all are welcome here. I look forward to seeing you on the 22nd. Bring your journal and a blanket to sit on. There is no cost for this event, please come & enjoy. All are welcome here. Please RSVP so I have an idea of how many will join me in our celebration. I look forward to seeing everyone again! Elisabeth Peterson simplifies the complex chemistry and science related to food, making it easily understood and practical to use. Gramma Zena is my son's paternal grandmother and today is her birthday. She is Sicilian, Italian, loves to cook, and, as you would expect, cooks exquisite meals. I have great memories of the wonderful times I spent with her working in the kitchen creating delicious meals for her husband Ed, her daughter, six sons, all their spouses, oodles of grandchildren, her mother, father and sister. Whew!! Saute onion in olive oil until translucent. Add garlic, stir and cook for a minute or two before adding a few spoonfuls of homemade or store bought Marinara sauce. In a separate container steam green beans. Stir the tomato-onion mixture over the green beans and serve. This recipe is full of nutrients. The beans provide the carotenoids lutein & beta carotene for healthy eyes, B-vitamins, antioxidants, and the mineral silicon for bone health and formation of connective tissue. The tomatoes provide abundant amounts of the antioxidant lycopene important for protection of our cells and DNA, and in reducing the risk of prostrate, breast and pancreatic cancers, especially when consumed with fats such as olive oil. This is a talk given by researcher Brené Brown from the famous TED conference on the power of vulnerability and the need for human connection, including our ability to empathize, belong and love. She is a delightful, humorous speaker with an important message. It is a "must see" video. When I was a child I spent most of my summers on my Aunt and Uncle's farm just outside Lynchburg. While traveling to and from the farm my dad taught me to look for the early growth of corn rows planted perpendicular to the road. 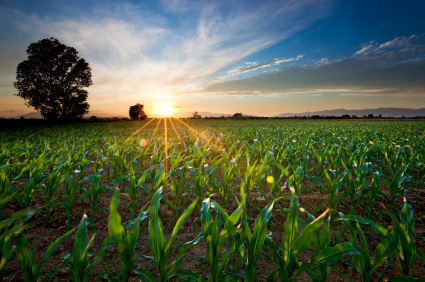 As I drive by the corn rows now, in adulthood, they are a harbinger of the fresh vegetables to be enjoyed throughout the summer months and I am reminded of the times when my Aunt and I would pick fresh vegetables from her garden for the evening meal. What excites you about spring? I have been teaching about balance for years now but like many I often times struggle to practice what I preach. Last year was a particularly busy year for me as my life was absorbed with emotional energy devoted to my extended family. Lately though, I have been working hard to balance my time by slowing down and kind of pressing the pause button. Over the summer I took advantage of several opportunities to go to the beach with my dear friend from middle school. I love the beach and feel completely rejuvenated when I dive into the salty waves and soak up the suns rays. I was also fortunate enough to be the invited guest of another friend on a trip to Philmont in New Mexico, where I hiked and for the first time went fly-fishing. I even caught four fish! Most recently, I completed a 15 yearlong goal of becoming certified as a scuba diver. There is something extremely fulfilling about being grounded in the grand outdoors. The majesty of the mountains and power yet solace found in the rhythm of the ocean waves, the beauty in fields of wild flowers and experiencing a whole new world underwater makes me take pause. Those experiences truly reset my dial helping me to function effectively again, to feel more balanced and therefore more alive. Life affirming activities fill me up like nothing else. I envision the cartoon where the top half of my head is opened and a pitcher pours liquid life juice in until it runs over. That is how I feel when I experience the wonders of nature. That is how I felt scuba diving recently and being able to breathe underwater. I became a mermaid for a brief moment in time, free to move and breathe as my body felt called to do. I feel that way EVERYTIME I am outdoors swimming, hiking, kayaking, cycling etc. ; connected and grounded deep into my core being. Have you thought about taking pause to reset? Line a 15 x 10 x 1-inh jellyroll pan with aluminum foil; set aside or, prepare a grill basket by spraying it with Pam. Cut zucchini, squash, and red pepper into 1-inch pieces; add mushrooms and onion. Combine vinegar and next 5 ingredients in small bowl, stirring well and coat vegetables evenly with mixture. Place on prepared pan and bake at 425 for 15 minutes or pour into grill basket and grill for 15 minutes. Stir vegetables and add tomato. Bake or grill 10 more minutes or until vegetables are tender or golden. Cook pasta according to directions. Place pasta in serving bowl. Add roasted vegetables; toss well. Add feta cheese. Imagine sitting in a healing women’s circle, combining the stories, myths and fairy tales found in Anita Johnston’s book, Eating in the Light of the Moon, mixing in art, music, guided imagery and discussion with other women struggling with food and steeping for 14 weeks. What could be more wonderful? Many women in the Richmond area have found healing and hope for recovery over the past 3 years since this group began. I am happy to announce that there will be two sessions of Eating in the Light of the Moon Group this fall: Tuesday evenings and Wednesday mornings. We hope you will join us this fall!! Classes start September 7th & 8th-- give me a call!! September 2010, we will have been in business for nine years! First and foremost, thank you for your business and support. 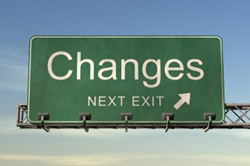 As some of you already know, there are some big changes happening at Peterson Nutrition & Fitness, we are moving our office and have new affiliations. First, as of August 23rd, we will be at our new office: 2200 Pump Rd, Suite 220, Richmond, VA 23233. My new office is more spacious and therefore is more suited for group work and will have completely new heating and air-conditioning supply and return and more windows so it will be much more comfortable. Second, I will be sharing my office with like minded professionals with decades of experience including a Clinical Psychologist, Licensed Clinical Social Worker, Life Coach (who is a Registered Nurse with specialty training), and a Certified Massage Therapist who specializes in Therapeutic Massage & Bodywork. We look forward to providing the Richmond Area with our healing services. Third: New Logo coming soon and changes to the website, stay tuned!! I am thrilled to share that Anita Johnston, author of Eating in the Light of the Moon, is coming back to Richmond, VA in March!! She is offering a day long workshop titled Body Talk: Using Metaphor to Treat Body Image and Eating Disorders for professionals March 5, 2010. CEU’s for Social Workers and RD’s are pending. Anita is also offering a day long workshop titled Soul Union: The Divine Marriage on March 6, 2010, for all women who want to find the balance between their inner feminine/yin energy (which is receptive, emotional, instinctive, intuitive, and relationship oriented), and their inner masculine/yang energy (which is active, logical, linear, practical, and goal-oriented). She would like this workshop to be a small, intimate setting and is only accepting 25-30 people, so if you would like to join us, please sign up soon! Anita is keeping the “early bird” price for both workshops. For more information and to sign up go to Anita’s website. Attached are flyers as well for you to peruse and share with your colleagues, clients and friends. Spread English muffin with jam, layer with apple and cheese. Toast in a toaster oven or under the broiler until the cheese is melted. Place apple pieces in a medium microwaveable bowl. Cover and microwave until softened, about 4 minutes. Transfer to a food processor, add brown sugar, if using, and cinnamon and puree until desired consistency. Don’t forget to add apples to hot or cold cereal, pancakes, waffles or muffins, salads, or combine with nut butters for a quick snack. Many quick, tasty and wholesome recipes can be found on the web, these came from www.eatingwell.com. I love to collect delicious, nutritious recipes…feel free to send me your favorites. Join us for the next book discussion and activity group based on Anita’s Johnston’s book Eating in the Light of the Moon. This group is for any woman who is ready to transform their relationship with food. We've offered this group for over a year now and the women who have joined us have found it to be very healing and the process has produced wonderful results. Next class starting in January 2010!! This past week provided me with many terrific opportunities for personal growth. 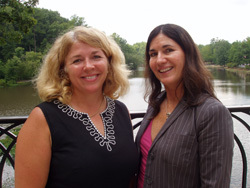 I was fortunate enough to host Anita Johnston, a friend and colleague, and accompany her while she interviewed Judith Duerk, a psychologist, musician, and author of Circle of Stones: Woman's Journey to Herself and I Sit Listening to the Wind: Woman's Encounter Within Herself for a documentary film project. I felt honored to witness these two powerful amazing women interact. How fortunate Richmond was to have Anita Johnston, psychologist, master story teller, lecturer, and renown author of Eating in the Light of the Moon: How Women Can Transform Their Relationship with Food Through Myths, Metaphors, and Storytelling present two workshops for people in and around the Richmond area. “Eating Disorders Messengers of the Soul” was presented Friday to the professionals in our area and “Soul Hunger” to those coping with eating disorders on Saturday. 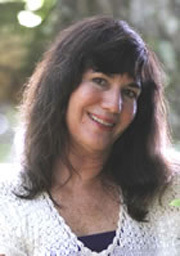 Anita is a master story teller and her philosophy of using metaphors to help women discover and trust their inner wisdom, recognize what when their soul is starved and what it is hungry for is transformational, because I’ve witnessed friends and clients restore their relationship with themselves, with food, and with the world at large. Anita’s approach provides a unique avenue to profound healing and brings that which is holding us back from healing to light. Stay tuned, as I am sure she will be back to present more workshops in the near future! If you are interested in future workshops send me an email and I’ll add you to our mailing list. I am so excited to share with you that Anita Johnston, author of Eating in the Light of the Moon, is coming to Richmond, VA!! She is offering her day long Eating Disorders as Messengers of the Soul workshop for professionals August 14th, and it is going to be wonderful! I have had the opportunity to attend a 10 day workshop with Anita and found her to be a beautiful, warm woman and fascinating speaker & I so highly recommend attending if you can! CEU’s for Social Workers and RD’s are pending. Anita is also offering Soul Hunger on August 15th, for women who are struggling with making peace with food. She wants this to be a small, intimate setting and is only accepting 25-30 people, so if you have clients who would benefit you’ll want to have them sign up soon! Finally, a colleague and I will continue offering a book discussion and activity group this fall based on Anita’s book Eating in the Light of the Moon for women trying to transform their relationship with food. For more information, see the group counseling page on my site or give me a call. We have offered this group for over a year now and have found it to be quite healing and therefore produce wonderful results. 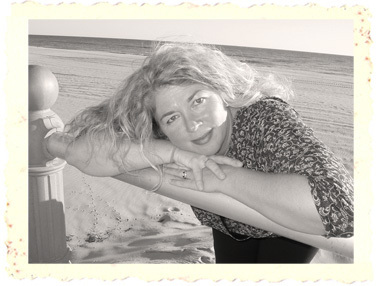 Anita’s website is http://www.dranitajohnston.com for more information and to sign up. Please share with your colleagues and clients. It is triathlon season again! Are you interested in learning how to increase power and endurance through proper nutrition and hydration before, during and after training and events? I will be speaking for TRIgirl Richmond on June 10th or you can set up an individual appointment. Call me for more information.